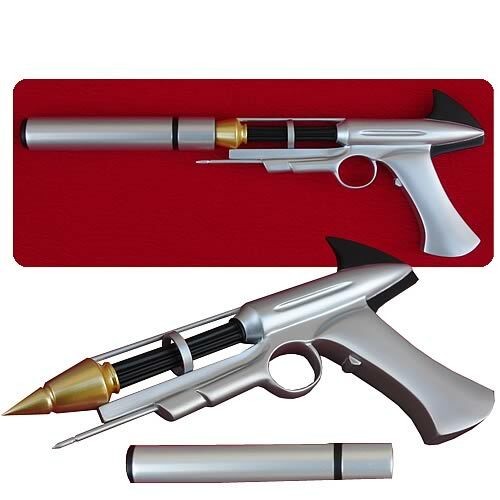 This amazing looking hand-gun is a 1:1 scale prop replica of the Ultra Gun as seen in the live action Japanese sci-fi television show Ultra Seven. The guns itself measures 9″ long, is made from vinyl resin, and comes with a silencer accessory. With the silencer attached this life-size prop replica measures 13″ long. Also features a display base and comes packaged in a closed box. Will be available in September 2012 but can be pre-ordered now.